Kinda messy that G3D is reusing the post from a previous version of Magician to post this. Under the current system environment, some functions in Magician CANNOT be run. If multiple iterations of Read and Write are performed, RAPID mode may become inactive due to system internal errors on some of the AMD / AsMedia Controller or Driver. But it doesn't give any instructions on what I'm supposed to do about it. I have installed latest AMD chipset drivers. Hm? Outdated? No, I'm running 5.2. Updated and moved into a new thread. Yeah, I'll update that a bit, the problem is Samsung does not out any release info. Updated through the software's own update mechanism - the little (i) in the top-right corner. No issues observed so far. Just launch the installer - it removes the old one first and then installs the latest version. If Rapid mode is in use you must reboot a couple of times. The old versions do have a nice habit not to recognize newer versions to exist. That's an OEM SKU, likely (I am not 100% sure though) not supported by the Samsung driver. Your Windows NVMe driver will work fine though. It's up to 5.2.1 now. 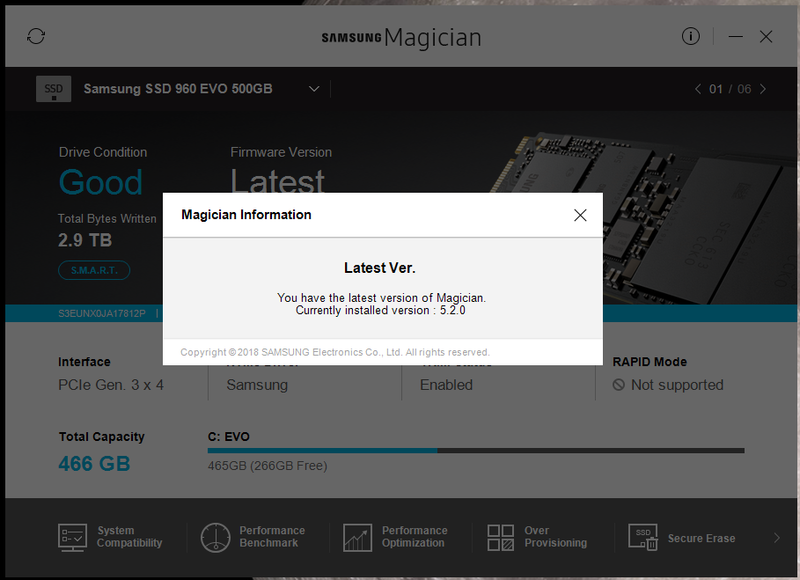 OEM drives work with the NVMe driver, they just are not supported by samsung magician. 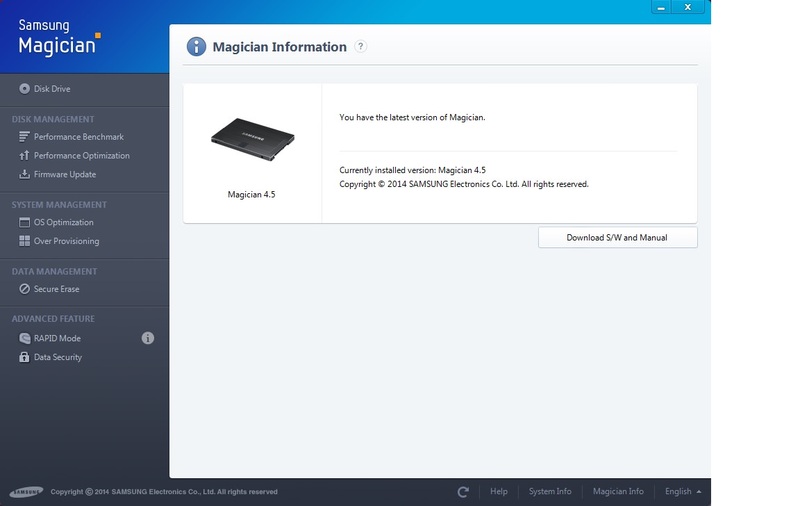 I know that the disc is not supported by the samsung magician. This is true. But it works with the windows driver, not samsung. It works better than Windows driver, you have to force it by using the 'have disk' option in device manager. I know what's sumsung driver best. How to install the driver forcibly ?! First I need to change the controller to the Samsung. Where can I get the unpacked driver version 3.0? I have the same error message with my Ryzen 7 system and despite Magician version 5.3.1 addressing "Compatibility issues with some controllers", it remains. I wonder how much Intel is paying Samsung for this I don't use rapid mode regardless but no one likes to see these things popping up. Come on Samsung.